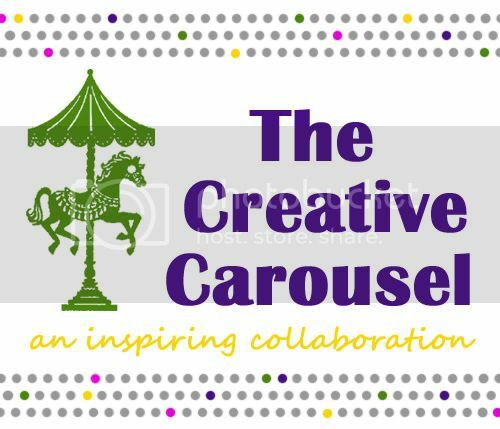 Creative Estates is just days away, so it's crunch time! My family and I are actually leaving for Arizona on Monday. There is still so much to do! 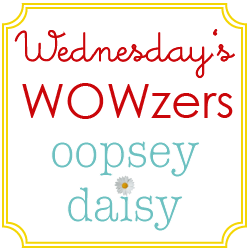 I am thrilled about my new hand-stitched Oopsey Daisy bag! I've actually had my eye on this bag from the adorable shop Aubrey Plays for a long while, and Creative Estates was the perfect excuse to buy it. When it arrived promptly in the mail, I was ecstatic! I definitely have a crush on the mustard yellow/gray damask fabric. I'm all set to carry around my business cards, i-Pad, etc. at the conference. Aubrey did a fantabulous job on this bag!! So Creative Estates, here I come! First, you can order anything in the Aubrey Plays etsy shop and receive 10% off! 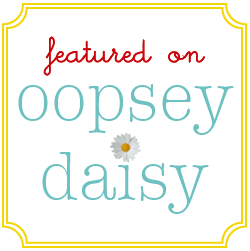 Just enter promo code "OOPSEYDAISY" at check-out. What a perfect opportunity to snag a new bag! 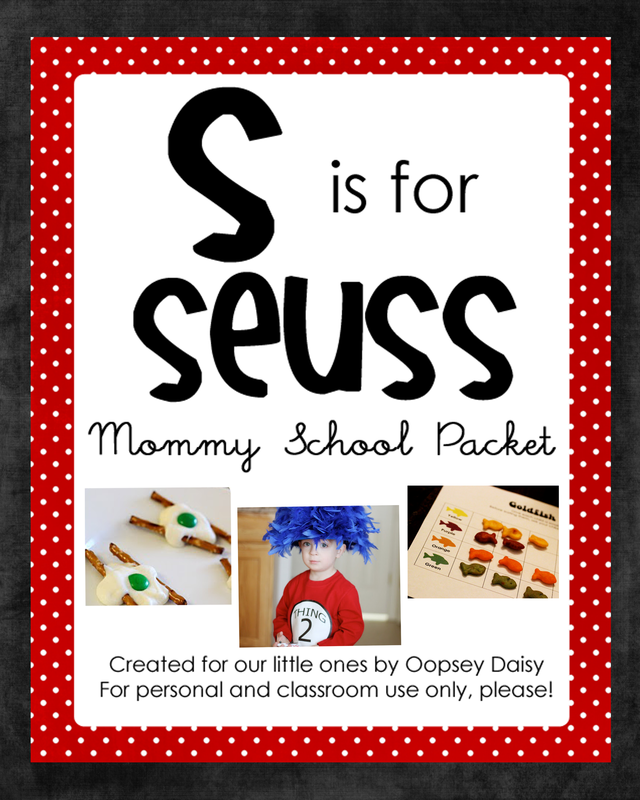 Aubrey Plays is also giving away a change purse to one lucky Oopsey Daisy reader. Aren't these adorable?! I love Aubrey's bright and happy fabrics! The winner can select a change purse with their choice of fabric. Super cute!! *Go stop by Aubrey Plays and let me know what you would like to buy from her shop. * Tweet/facebook about this giveaway and let me know. * Be a follower of Oopsey Daisy. Just let me know! This giveaway will close on Thursday, April 7th at midnight. I would definately buy one of the e-reader cases! Really need one for my Nook!! This reversable bag is soooo cute! Oh my gosh, the I Play With Monsters bags….LOVE THEM! Seriously, SO CUTE! I would go for the insulated lunch bags, SO cute! I'd love to purchase a camera strap for my Nikon D90! Im an Oopsey Daisy follower! yay! These bags are so cute and perfect to get in the mood for spring! From Aubrey Plays "I play with monsters" diaper bag, b/c I'm about to have my first baby! I just posted this blog onto my facebook page! I'm a follower! Thanks so much for the chance. so much for the chance. I love your bag! So cute! I LOVE the purse/diaper bag called Olivia. To die for! I'm totally a follower of your blog! And the diaper bag – with I play with monsters on it – PERFECT! I would buy the play with monsters diaper bag for my daughter who is expecting! The sassy errand bag is super cute! I love the laptop bags!!!! the black damask bag with the red trim is sooo cute! And I love the One Flew Over the Cuckoo Nest zippered pouch! thanks for the sweet write up Alison!!! Also thanks to all the sweet comments!! Good luck! I love her sassy errand bag! all of it is awesome!! love the laptop & school bag. too cute! thank you!!! I love the So You Think You're a Rock Star necklace. And the ereader cases!! Thanks for a chance to win a coin purse. They are delightful! I'm already a follower. You're new bag is wonderful…just perfect! I would love the iPad case!! I am a follower and LOVE your blog!! I would have to say the Pirate Monster Pal. My son would love that! I became a follower of your blog earlier today! Cute bags, and I would love to have the Sew, you think you're a rock star necklace! You're purse turned out super cute! And I like her little change purses and the reversible purse- the suit. I am in need of an eReader case because my boring black one just isnt me. The tough part is figuring out which fabric I like the best! I like the reversible purse. Very cute. Wow everything is SO super cute!! My favorite was the Funky Errand Bag ~ LOVE it!! 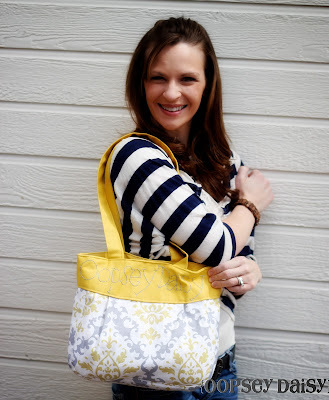 I love the laptop bag and the purse/diaper bag like you got…I am realy digging grey and yellow lately! I would love a case for my kindle! I love the lunch bags! Oooh! I love the "Olivia" with the diaper bag accessories in the pewter damask, if she still has it! So adorable! I love the insulated lunch bag! I like the Purse, Diaper bag. The Delilah Bag is my fave! Lovin' the Funky Errand bag! Thanks! I love the purse, diaper bag and I love the reversible purse! Thanks!! I am a follower – thanks!! I am a follower.. in fact I think I'm the first one of them all! I love her diaper bags and purses. Especiall the Olivia one. I like the Laptop School bag. My daughter carries her I-Pad as a communication device, and this would be perfect, and age appropriate. I love the Coffee Sleeve: I shoot people. I love the I play with Monsters diaper bag. I love the reversible bag. So cute. I love the OLIVIA bag! I'd love the buy the reversible purse (the suit), the Singer necklace and the Pirate Monster Pal. Lovely shop! I am a follower through google email!!! I love her playful style! 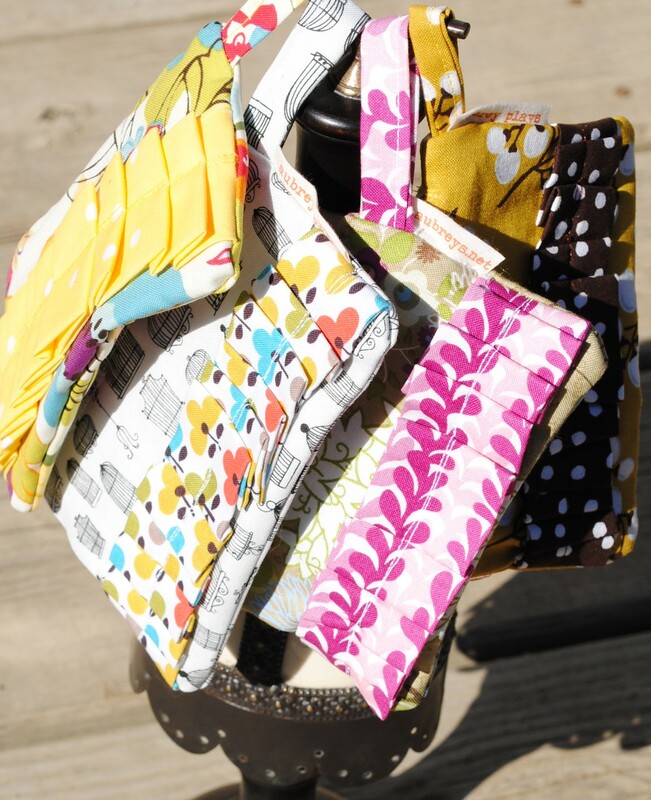 I would love the purse/diaper bag that you have, or a lap top case… all the fabric is so cute! I love the Olivia purse / diaper bag! 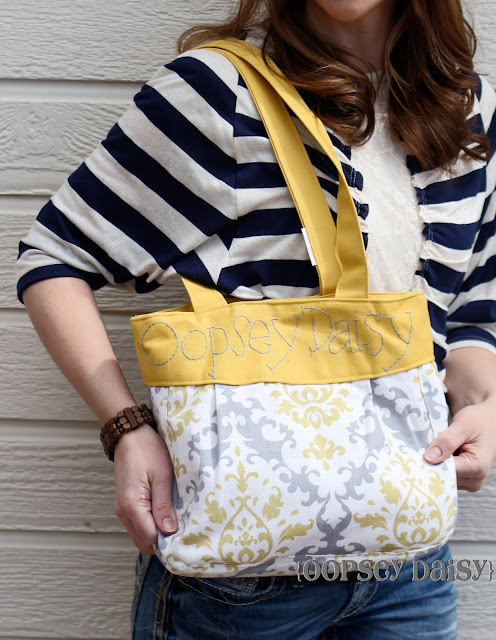 I love the reversible grey and yellow damask bag! I am headed over to tweet about it RIGHT NOW! Aaah! How to choose! I'm LOVING the sewing machine necklace. I'm rediscovering my sewing machine lately, so that little lovely caught my eye! Love the Sassy Errand Bag.